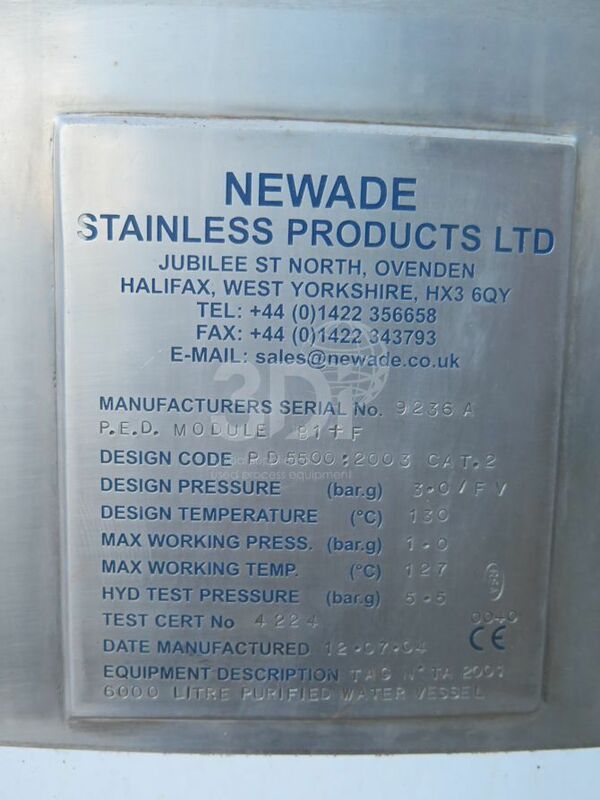 Used 6,000 Litre 316L Stainless Steel Pressure Vessel, manufactured by Newade Stainless Products Ltd, 2004. Orientation: vertical, cylindrical, dished top and bottom, on legs. 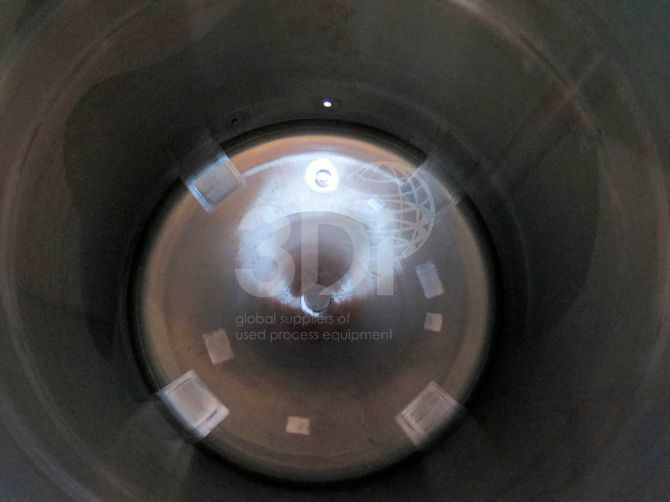 Dimensions: 1800mm overall diameter, 2275mm on the straight, 4000mm overall height. 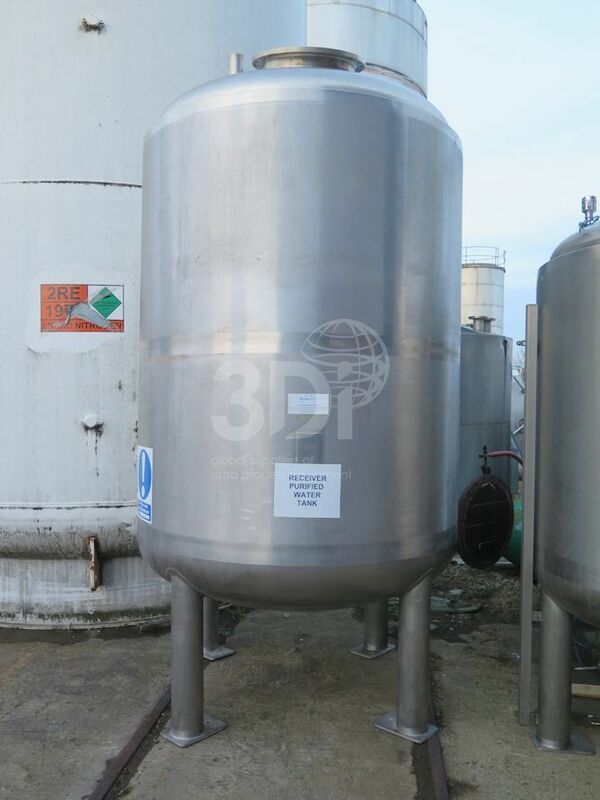 Design code PD5500:2003 CAT2, design pressure 3bar/FV, design temperature 130degC, test pressure 5.5bar. 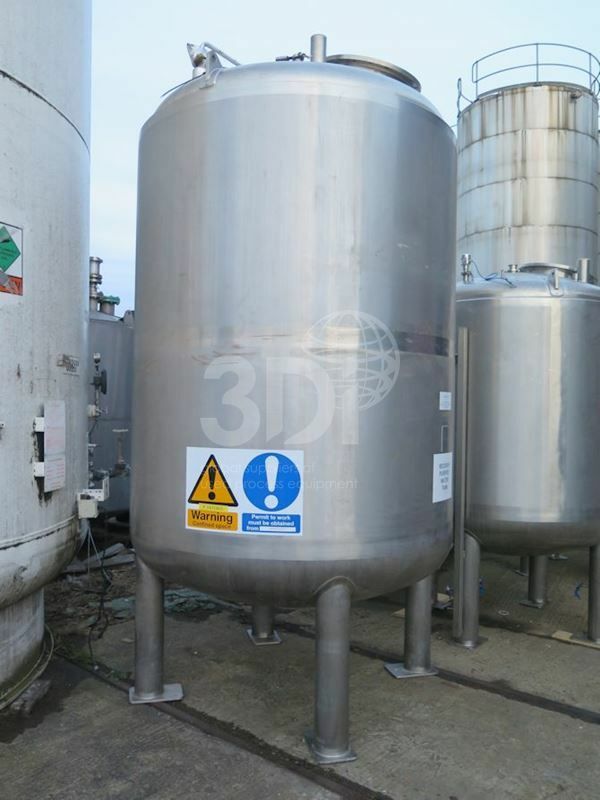 Vessel is insulated and clad in stainless steel. Previously used on purified water.